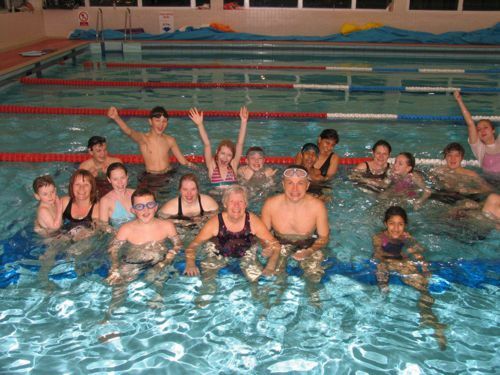 Charnwood Swimming Club for the Disabled meets on Sunday evenings from 6pm to 7pm at Loughborough Leisure Centre. We welcome new members who have a disability, are recovering from an operation or illness or have any health problem which would benefit from swimming. There’s no need to let us know you’re coming, just turn up & you’ll always be welcome. There are always lifeguards on duty, our swimming coach in the water & a club volunteer on poolside to meet, greet & offer any assistance you require.